Check out Titus O’Neil’s WWE profile here! November 12, 2009 – FCW: Lennox McEnroe defeated Titus O’Neil (debut). November 19, 2009 – FCW: Jimmy Uso defeated Titus O’Neil in a pre-show match. December 12, 2009 – FCW: Vance Archer and Alex Riley defeated Skip Sheffield and Titus O’Neil. December 17, 2009 – FCW: Big E. Langston, Gabriel, Skip Sheffield and Titus O’Neill defeated Dawson Alexander, Donny Marlow, Jimmy Uso and Lennox McEnroe. February 18, 2010 – FCW: Michael Tarver defeated Titus O’Neil before hitting him with a knockout punch. February 19, 2010 – FCW: Heath Slater defeated Titus O’Neil. February 25, 2010 – FCW: The Uso Brothers w/Donny Marlow defeated Titus O’Neil and Big E Langston. March 4, 2010 – FCW: Titus O’Neil defeated Adam Atherton. March 18, 2010 – FCW: Titus O’Neil defeated Cable Jones in a dark match. April 8, 2010 – FCW: Curt Hawkins w/Jackson Andrews defeated Titus O’Neil. April 15, 2010 – FCW: Joe Hennig defeated Brett DiBiase in a Lights Out Match (referee Titus O’Neil). April 29, 2010 – FCW: Titus O’Neil defeated Trent Baretta w/Caylen Croft in a Florida Gators Challenge Match (Bonus Dark Match). May 5, 2010 – FCW: Tyler Reks and Vance Archer and Jackson Andrews defeated Titus O’Neil and Big E Langston and Wes Brisco. May 13, 2010 – FCW: Titus O’Neil and Wes Brisco defeated Jacob Novak and Leo Kruger. May 20, 2010 – FCW: Titus O’Neil and Conrad Tanner defeated Jacob Novak and Derrick Bateman in a dark match. May 27, 2010 – FCW: The Dudebusters (Trent Baretta and Caylen Croft) defeated Titus O’Neil and Duke Rotundo. Titus O’Neil was paired with Zack Ryder for the second season of WWE NXT..
June 1, 2010 – WWE NXT: Zack Ryder introduced his NXT rookie, Titus O’Neil, and promised to teach him how to get girls..
June 3, 2010 – FCW: Wade Barrett defeated Titus O’Neil. June 8, 2010 – WWE NXT: John Morrison and Eli Cottonwood defeated Zack Ryder and Titus O’Neil in a tag team match..
June 10, 2010 – FCW: Vance Archer defeated Titus O’Neil..
June 21, 2010 – RAW: John Morrison w/Eli Cottonwood defeated Zack Ryder w/Titus O’Neil..
June 22, 2010 – WWE NXT: Michael McGillicutty w/Kofi Kingston defeated Titus O’Neil w/Zack Ryder..
June 24, 2010 – FCW: Titus O’Neil and Lucky Cannon defeated The Handsome Man’s Express (Derrick Bateman and Leo Kruger) in a 10 Minute Challenge by lasting 10 minutes. June 29, 2010 – WWE NXT: Titus O’Neil participated in a “Keg Carry” challenge (which was won by Lucky Cannon)..
~~~Kaval and Michael McGillicutty and Lucky Cannon defeated Alex Riley and Titus O’Neil and Eli Cottonwood..
~~~LATER THAT NIGHT: Titus O’Neil was announced as being ranked #8 and was therefore eliminated from the competition..
July 1, 2010 – FCW: Husky Harris and Eli Cottonwood defeated Percy Watson and Titus O’Neil. July 2, 2010 – FCW: Titus O’Neil and Lucky Cannon and Percy Watson defeated Brodus Clay and Donny Marlow and Darren Young. July 14, 2010 – FCW: Titus O’Neil defeated Jacob Novak. July 22, 2010 – FCW: Titus O’Neil and Rudy Parker defeated Rhys Ali and Bill Carr in a dark match..
August 29, 2010 – FCW: Eli Cottonwood (bloodied) won the Monsters Of FCW Battle Royal (Participants: Shad Gaspard, Eli Cottonwood, Brodus Clay, Husky Harris, Titus O’Neil, and Jackson Andrews). August 31, 2010 – WWE NXT: Titus O’Neil sat in the front row with other eliminated rookies for the Finale..
September 12, 2010 – FCW: Titus O’Neil and Conrad Tanner and ??? defeated Big E Langston and Rhys Ali and Devin Allen in a dark match. September 15, 2010 – FCW: Jackson Andrews and Brodus Clay and Eli Cottonwood and Shad Gaspard b Big E Langston and Titus O’Neil and Xavier Woods and Bobby Dutch. September 21, 2010 – FCW: Bobby Dutch and Conrad Tanner and Titus O’Neil and James Bronson defeated Ron Myers and Kenny Li and Cable Jones and Buck Dixon. September 23, 2010 – FCW: Titus O’Neil and Shad Gaspard defeated Eli Cottonwood and Jackson Andrews. October 28, 2010 – FCW: Jackson Andrews and Eli Cottonwood defeated Lucky Cannon and Titus O’Neil. November 11, 2010 – FCW: Titus O’Neil defeated Calvin Raines. December 2, 2010 – FCW: Titus O’Neil and Byron Saxton and Damien Sandow defeated Marcus Owens and Xavier Woods and Bo Rotundo. December 9, 2010 – FCW: Ashley Valence interviewed Titus O’Neil and Damien Sandow. Abraham Washington and Bo Rotundo and Mason Ryan defeated Byron Saxton and Titus O’Neil and Damien Sandow. Titus O’Neil and Damien Sandow defeated Xavier Woods and Marcus Owens. December 17, 2010 – FCW: Damian Sandow and Titus O’Neil defeated Hunico and Xavier Woods to retain the FCW Tag Team titles. December 30, 2011 – FCW: Santino Marella and Vladimir Kozlov defeated Damien Sandow and Titus O’Neal via disqualification. Janaury 2, 2011 – FCW FCW Tag Team Champions Damien Sandow and Titus O’Neil defeated Marcus Owens and Xavier Woods to retain. January 16, 2011 – FCW: Calvin Raines defeats Bo Rotundo and Brad Maddox and Damien Sandow and Hunico and Jinder Mahal and Kenny Li and Lucky Cannon and Marcus Owens and Percy Watson and Peter Orlov and Richie Steamboat and Roman Leakee and Seth Rollins and Titus O’Neil and Xavier Woods in the Grande Royal. January 23, 2011 – FCW: Damien Sandow and Titus O’Neil defeated Richie Steamboat and Seth Rollins to retain the titles. February 6, 2011 – FCW: Damien Sandow (w/ Titus O’Neil) defeats Xavier Woods. February 13, 2011 – FCW: Marcus Owens and Xavier Woods defeated FCW Tag Team Champions Damien Sandow and Titus O’Neil in a non-title match. February 27, 2011 – FCW: FCW Tag Team Champions Damien Sandow and Titus O’Neil defeated Los Aviadores (Epico and Hunico) to retain. March 8, 2011 – WWE NXT (Redemption): Titus O’Neil got a second chance on NXT Season 5 getting paired with “Pro” Hornswoggle..
~~~Titus O Neil w/Hornswoggle defeated Lucky Cannon w/Tyson Kidd..
March 13, 2011 – FCW: Donny Marlow and Leakee defeated FCW Tag Team Champions Damien Sandow and Titus O’Neil (w/ Ricardo Rodriguez) by disqualification. March 15, 2011 – WWE NXT: Titus O’Neil won the Talk the Talk Challenge and also won the Keg Carry Challenge (Impressive!).. March 20, 2011 – FCW: FCW Tag Team Champions Damien Sandow and Titus O’Neil defeated Donny Marlow and Roman Leakee by disqualification. March 22, 2011 – NXT: Titus O’Neil defeated Darren Young via pinfall. March 29, 2011 – NXT: Titus O’Neil won an NXT Rookies arm wrestling competition. ~~~Titus O’Neil and Byron Saxton and Conner O’Brian defeated Darren Young and Lucky Cannon and Jacob Novak. April 3, 2011 – FCW: Donny Marlow and Roman Leakee defeated FCW Tag Team Champions Damien Sandow and Titus O’Neil in a NO disqualification Match. April 5, 2011 – NXT: Hornswoggle and Titus O’Neil defeated Chavo Guerrero and Darren Young via pinfall. April 10, 2011 – FCW: Richie Steamboat and Seth Rollins defeated FCW Tag Team Champions Damien Sandow and Titus O’Neil in a non-title match. April 12, 2011 – NXT: Titus defeated Darren Young with distraction from Hornswoggle (Titus won the power of the punch challenge). April 26, 2011 – NXT: Titus O’Neil defeated Darren Young via pinfall. May 1, 2011 – FCW: Titus O’Neil defeats Monty Lynch. May 10, 2011 – NXT: Darren Young defeated Titus O’Neil via pinfall (Titus won the king of the hill challenge). May 17, 2011 – NXT: Darren Young defeated Titus O’Neil via count out. May 22, 2011 – FCW: Damien Sandow (w/ Aksana and Maxine) defeats Titus O’Neil. May 24, 2011 – NXT: Titus O’Neil defeated Darren Young w/Chavo Guerrero in a No disqualification Match via pinfall. May 29, 2011 – FCW: Titus O’Neil defeats Damien Sandow (w/ Aksana, Lucky Cannon and Maxine). May 31, 2011 – NXT: Titus O’Neil and Hornswoggle eliminated by Cannon and Kidd in a Tag Team Turmoil Elimination Tournament. June 5, 2011 – FCW: Big E Langston, Leakee, Mr. Florida and Titus O’Neil defeated Conor O’Brian, Damien Sandow, Lucky Cannon and Mason Ryan (w/ Aksana and Maxine). June 7, 2011 – NXT: Titus O’Neil defeated Lucky Cannon. Jun 14, 2011 – NXT: Titus O’Neil defeated Lucky Cannon (Titus won the talk the talk challenge). June 21, 2011 – NXT: Zack Ryder defeated Titus O’Neil. June 26, 2011 – FCW: Titus O’Neil defeated Jinder Mahal by disqualification. June 28, 2011 – NXT: Titus O’Neil defeated JTG. July 3, 2011 – FCW: Titus O’Neil defeats Byron Saxton by disqualification. July 5, 2011 – NXT: Derrick Bateman and Daniel Bryan defeated Titus O’Neil and Darren Young (Titus won the talk the talk challenge). July 12, 2011 – NXT: Derrick Bateman defeated Darren Young and Titus O’Neil via pinfall in a Triple Threat Elimination Match. July 19, 2011 – NXT: Titus O’Neil defeated Darren Young. July 26, 2011 – NXT: Derrick Bateman defeated Titus O’Neil. August 2, 2011 – NXT: Matt Striker and Titus O’Neil defeated Darren Young and Derrick Bateman. August 6, 2011 – FCW: Leakee and Titus O’Neil defeated Erick Rowan and James Bronson (w/ Byron Saxton). August 9, 2011 – NXT: Titus O’Neil defeated Derrick Bateman. August 16, 2011 – NXT: Derrick Bateman defeated Titus O’Nei. September 6, 2011 – NXT: Titus O’Neil and AJ defeated Derrick Bateman and Maxine. September 8, 2011 – Superstars: Curt Hawkins and Tyler Reks defeated Percy Watson and Titus O’Neil. September 13, 2011 – NXT: Titus O’Neil and Percy Watson defeated Derrick Bateman and Tyson Kidd. October 30, 2011 – FCW: Percy Watson and Titus O’Neil defeated Jinder Mahal and Rick Victor. November 6, 2011 – FCW: Percy Watson and Titus O’Neil defeated Brad Maddox and Briley Pierce. November 29, 2011 – SmackDown: Titus O’Neil and Darren Young participated in the battle royal won by Hornswoggle. December 18, 2011 – FCW: CJ Parker, Percy Watson and Titus O’Neil defeated Corey Graves, Derrick Bateman and Rick Victor. January 18, 2012 – NXT: Titus O’Neil defeated Darren Young. January 25, 2012 – NXT: Titus O’Neil defeated Percy Watson. February 1, 2012 – NXT: Darren Young and Titus O’Neil defeated Percy Watson and Alex Riley. February 15, 2012 – NXT: Titus O’Neil defeated Yoshi Tatsu. February 29, 2012 – NXT: Darren Young and Titus O’Neil defeated Alex Riley and Ezekiel Jackson. March 7, 2012 – NXT: Percy Watson defeated Titus O’Neil. March 21, 2012 – NXT: Percy Watson defeated Tyler Reks. April 27, 2012 – SmackDown: Titus O’Neil and Darren Young defeated Yoshi Tatsu and Ezekiel Jackson. May 11, 2012 – SmackDown: Titus O’Neil and Darren Young defeated U.S. Champion Santino Marella and Zack Ryder. May 18, 2012 – SmackDown: WWE tag team champions Kofi Kingston and R-Truth defeated Titus O’Neil and Darren Young in a non-title match. June 1, 2012 – SmackDown: United States champion Santino Marella and Zack Ryder defeated Titus O’Neil and Darren Young. June 22, 2012 – SmackDown: The PrimeTime Players (Darren Young and Titus O’Neil) defeated The Usos. July 2, 2012 – RAW: WWE tag team champions Kofi Kingston and R-Truth, I.C. Christian and U.S. Champion Santino Marella defeated Darren Young, Titus O’Neil, Cody Rhodes and David Otunga. July 5, 2012 – Superstars: Primo Colon defeated Titus O’Neil. July 16, 2012 – RAW: WWE tag team champions Kofi Kingston and R-Truth defeated Titus O’Neil and Darren Young to retain. July 30, 2012 – RAW: Titus O’Neil defeated Kofi Kingston. August 10, 2012 – SmackDown: The Prime Time Players defeated Epico and Primo Colon by disqualification. August 19, 2012 – SummerSlam: WWE tag team champions Kofi Kingston and R-Truth defeated The Prime Time Players to retain the titles. August 20, 2012 – RAW: Sin Cara and WWE tag team champions K.Kingston and R-Truth defeated The Prime Time Players and Cody Rhodes. September 10, 2012 – RAW: Kane and Daniel Bryan defeated Titus O’Neil and Darren Young to become #1 contenders. September 16, 2012 – Night of Champions: Titus O’Neil and Darren Young participated in the battle royal won by Zack Ryder. September 24, 2012 – RAW: Darren Young and Titus O’Neil defeated Santino Marella and Zack Ryder. October 5, 2012 – SmackDown: Darren Young and Titus O’Neil defeated R-Truth and Kofi Kingston to advance in the tag team titles #1 contender tournament. October 8, 2012 – RAW: October 8, 2012 – RAW: Rey Mysterio and Sin Cara defeated Titus O’Neil and Darren Young to advance in the finals. October 15, 2012 – RAW: Titus O’Neil and Darren Young defeated Zack Ryder and Santino Marella. October 29, 2012 – RAW: WWE tag team champions Daniel Bryan and Kane defeated Darren Young and Titus O’Neil in a non-title match. October 31, 2012 – Main Event: Randy Orton, Rey Mysterio and Sin Cara defeated The Prime Time Players and Alberto DelRio. November 22, 2012 – Superstars: Justin Gabriel defeated Darren Young. November 23, 2012 – SmackDown: Ryback defeated Darren Young. November 26, 2012 – RAW: Ryback defeated Titus O’Neil. December 3, 2012 – RAW: WWE tag team champions Kane and Daniel Bryan defeated The Prime Time Players in a non-title match. December 18, 2012 – SmackDown: WWE tag team champions Kane and Daniel Bryan and I.C. Champion Kofi Kingston defeated The Prime Time Players and Wade Barrett. December 24, 2012 – RAW: Tyson Kidd, Justin Gabriel, Brodus Clay, Santino Marella, and the Usos defeated Tensai, Drew McIntyre, Heath Slater, Jinder Mahal, Titus O’Neil, and Darren Young. December 30, 2012 – Saturday Morning Slam: Sheamus defeated Titus O’Neil. January 11, 2013 – SmackDown: WWE tag team champions Kane and Daniel Bryan defeated Darren Young and Titus O’Neil in a non-title match. January 25, 2013 – SmackDown: Mike Mizanin defeated Darren Young w Titus O’Neil. January 26, 2013 – Saturday Morning Slam: Brodus Clay and Kofi Kingston defeated The Prime Time Players. February 14, 2013 – Main Event: Justin Gabriel defeated Titus O’Neil. February 20, 2013 – Main Event: Justin Gabriel defeated Titus O’Neil. March 30, 2013 – Main Event: Tensai defeated Titus O’Neil. February 14, 2013 – Superstars: Justin Gabriel defeated Titus O’Neil. February 25, 2013 – RAW: WWE tag team champions Kane (1-arm tied) and Daniel Bryan (blindfolded) defeated Darren Young and Titus O’Neil in a non-title gimmick match. March 1, 2013 – SmackDown: Darren Young and Titus O’Neil defeated WWE tag team champions Kane (blindfolded) and Daniel Bryan (1-arm tied) in a non-title gimmick match. March 4, 2013 – RAW: WWE tag team champions Kane and Daniel Bryan defeated Darren Young and Titus O’Neil in a non-title match. March 8, 2013 – Live Event: Alex Riley defeated Titus O’Neil. March 15, 2013 – Live Event: R-Truth defeated Titus O’Neil. March 20, 2013 – Main Event: The Uso’s defeated The Prime Time Players. March 25, 2013 – RAW: WWE tag team champions Kane and Daniel Bryan defeated Darren Young and Titus O’Neil in a non-title match. April 12, 2013 – SmackDown: WWE tag team champions Kane and Daniel Bryan defeated the Prime Time Players in a non-title match. April 15, 2013 – RAW: WWE tag team champions Kane and Daniel Bryan defeated the Prime Time Players in a non-title match. April 18, 2013 – WWE Live Event: Drew McIntyre, Jinder Mahal, Alex Riley, and Santino Marella defeated Primo, Epico, and The Prime Time Players (Darren Young and Titus O’Neil). April 19, 2013 – WWE Live Event: Drew McIntyre, Ted DiBiase, Jinder Mahal, and Santino Marella defeated Primo, Epico, and The Prime Time Players (Darren Young and Titus O’Neil). April 20, 2013 – Main Event: Jey Uso defeated Darren Young by disqualification. The Usos defeated Titus O’Neil and Darren Young. April 27, 2013 – Main Event: Randy Orton and Sheamus defeated The Prime Time Players. May 4, 2013 – Saturday Morning Slam: Jimmy and Jey Uso defeated The PrimeTime Players. May 11, 2013 – Saturday Morning Slam: Randy Orton and Sheamus defeated The Prime Time Players. May 13, 2013 – RAW: The Prime Time Players defeated Brodus Clay and Tensai. May 17, 2013 – SmackDown: Brodus Clay and Tensai defeated the Prime Time Players. May 20, 2013 – RAW: Sheamus defeated Titus O’Neil. June 13, 2013 – Superstars: Titus O’Neil w/ Darren Young defeated Brodus Clay. June 20, 2013 – Superstars: R-Truth defeated Darren Young w/ Titus O’Neil. June 21, 2013 – SmackDown: The Prime Time Players defeated Brodus Clay and Tensai in a dark match. July 1, 2013 – RAW: C.M. Punk and WWE Intercontinental champion Curtis Axel defeated the Prime Time Players. July 5, 2013 – Smackdown! : Tensai and Brodus Clay defeated Darren Young and Titus O’Neil in a dark match. July 11, 2013 – Superstars: Justin Gabriel defeated Darren Young (w/ Titus O’Neil). July 18, 2013 – Superstars: Tensai and Brodus Clay defeated Darren Young and Titus O’Neil. July 22, 2013 – RAW: Christian defeated Titus O’Neil. July 24, 2013 – Main Event: Brodus Clay and Tensai defeated The Prime Time Players in a dark match. July 26, 2013 – Live Event: Brodus Clay and Tensai defeated The Prime Time Players. July 27, 2013 – Live Event: CM Punk, Rob Van Dam and Sheamus defeated The Prime Time Players and Big E Langston. July 30, 2013 – Live Event: Justin Gabriel defeated Titus O’Neil. July 31, 2013 – Live Event: R-Truth defeated Titus O’Neil. August 9, 2013 – Superstars: The Prime Time Players defeated Justin Gabriel and Zack Ryder. August 12, 2013 – RAW: Kane defeated Titus O’Neil. August 15, 2013 – Superstars: Dolph Ziggler and Kofi Kingston defeated The Prime Time Players. August 19, 2013 – RAW: The Prime Time Players defeated Jack Swagger and Antonio Cesaro. August 24, 2013 – Live Event: The Prime Time Players defeated Drew McIntyre and Jinder Mahal. August 26, 2013 – RAW: Titus O’Neil defeated Jack Swagger. September 2, 2013 – RAW: The Prime Time Players defeated 3MB (Jinder Mahal and Heath Slater). September 11, 2013 – Main Event: Darren Young and Titus O’Neil defeated Heath Slater and Jinder Mahal. September 14, 2013 – Live Event: World tag team champions Seth Rollins and Roman Reigns defeated The Prime Time Players to retain the title. September 28, 2013 – Live Event: The Prime Time Players defeated Drew McIntyre and Heath Slater. October 2, 2013 – Main Event: Erick Rowan and Luke Harper defeated The Prime Time Players. October 16, 2013 – Main Event: The Prime Time Players defeated El Local #1 (Ricardo Rodriguez) and El Local #2 (Tyson Kidd). October 20, 2013 – Live Event: Erick Rowan and Luke Harper w/ Bray Wyatt defeated The Prime Time Players. October 23, 2013 – Main Event: Jack Swagger and Antonio Cesaro defeated The Prime Time Players. November 6, 2013 – Main Event: Luke Harper and Erick Rowan w/ Bray Wyatt defeated The Prime Time Players. November 6, 2013 – Live Event: The Prime Time Players defeated Hunico and Camacho. November 8, 2013 – Live Event: The Prime Time Players defeated Hunico and Camacho. November 10, 2013 – Live Event: The Prime Time Players defeated Drew McIntyre and Jinder Mahal. November 13, 2013 – Main Event: Drew McIntyre and Jinder Mahal defeated The Prime Time Players. November 14, 2013 – Superstars: The Great Khali and The Usos defeated The Miz, Darren Young and Titus O’Neil. November 15, 2013 – SmackDown: The Prime Time Players and R-Truth defeated 3MB in a 6-man tag team match. November 13-16, 2013 – Live Event: The Prime Time Players defeated Hunico and Camacho. December 26-28, 2013 – Live Event: The Prime Time Players defeated Kofi Kingston and The Miz. December 26, 2013 – Superstars: The Usos defeated The Prime Time Players. December 27, 2013 – SmackDown: The Prime Time Players defeated Ryback and Curtis Axel. December 28, 2013 – Tribute to the Troops (Taped): The Prime Time Players defeated Jinder Mahal and Drew McIntyre in a dark match. December 28, 2013 – Live Event: The Prime Time Players defeated Kofi Kingston and The Miz. January 4, 2014 – Live Event: The Prime Time Players defeated Jinder Mahal and Drew McIntyre. January 5, 2014 – Live Event: The Prime Time Players defeated Jinder Mahal and Drew McIntyre. January 10, 2014 – Live Event: The Prime Time Players defeated Drew McIntyre and Jinder Mahal. January 11, 2014 – Live Event: The Prime Time Players defeated Curtis Axel and Ryback. January 12, 2014 – Live Event: Curtis Axel and Ryback defeated The Prime Time Players & Drew McIntyre and Jinder Mahal in a 3-way #1 contender match for the tag titles. January 15, 2014 – Main Event: The Prime Time Players defeated 3MB in a handicap match. January 16, 2014 – Superstars: The Prime Time Players defeated Drew McIntyre and Jinder Mahal. January 17-19, 2014 – Live Event: The Prime Time Players defeated Curtis Axel and Ryback. January 24, 2014 – SmackDown: Erick Rowan and Luke Harper defeated the Prime Time Players. January 31, 2014 – SmackDown: Ryback and Curtis Axel defeated the Prime Time Players. February 3, 2014 – RAW: Titus O’Neil defeated Zack Ryder. February 7-9, 2014 – Live Event: Darren Young defeated Titus O’Neil. February 10, 2014 – RAW: Titus O’Neil attacked Darren Young and officially broke up the Prime Time Players. February 21, 2014 – SmackDown: Dolph Ziggler defeated Titus O’Neil. February 23, 2014 – Elimination Chamber: Titus O’Neil defeated Darren Young. February 26, 2014 – Main Event: Darren Young defeated Titus O’Neil. March 6, 2014 – Superstars: Titus O’Neil defeated Zack Ryder. March 8, 2014 – Live Event: Darren Young defeated Titus O’Neil. March 9, 2014 – Live Event: Darren Young and The Great Khali defeated Titus O’Neil and Brodus Clay. March 14, 2014 – Live Event: Darren Young defeated Titus O’Neil. March 16, 2014 – Live Event: Kofi Kingston defeated Titus O’Neil. Kofi Kingston and Darren Young defeated Titus O’Neil and Bad News Barrett. Darren Young defeated Titus O’Neil. March 17, 2014 – RAW: Sheamus defeated Titus O’Neil. March 22, 2014 – Live Event: Mark Henry defeated Titus O’Neil. Mark Henry and Darren Young defeated Titus O’Neil and Bad News Barrett. March 23, 2014 – Live Event: Bad News Barrett defeated Titus O’Neil. Darren Young defeated Titus O’Neil. Mark Henry defeated Titus O’Neil. Darren Young and Mark Henry defeated Titus O’Neil and Bad News Barrett. April 4, 2014 – SmackDown: Dolph Ziggler defeated Titus O’Neil. April 10, 2014 – Superstars: Titus O’Neil defeated Kofi Kingston. April 12-13, 2014 – Live Event: Sheamus defeated Titus O’Neil. April 15, 2014 – Main Event: Titus O’Neil defeated Vordell Walker in a dark match. April 17, 2014 – Superstars: WWE Intercontinental champion Big E defeated Titus O’Neil in a non-title match. April 22, 2014 – Main Event: Sheamus defeated Titus O’Neil. April 24, 2014 – Superstars: Kofi Kingston defeated Titus O’Neil. April 26-27, 2014 – Live Event: Kofi Kingston defeated Titus O’Neil. April 28, 2014 – RAW: Sheamus defeated Titus O’Neil. May 2, 2014 – SmackDown: WWE Intercontinental champion Big E defeated Titus O’Neil by disqualification in a non-title match. May 15, 2014 – Superstars: Kofi Kingston defeated Titus O’Neil. May 16, 2014 – SmackDown: WWE United States champion Sheamus defeated Titus O’Neil to retain the title. May 20, 2014 – Live Event: Big E, Cody Rhodes, Goldust and Rob Van Dam defeated Justin Gabriel, The Miz, Titus O’Neil and Tyson Kidd. May 22, 2014 – Live Event: Big E, Cody Rhodes, Goldust and The Miz defeated Jack Swagger, Justin Gabriel, Titus O’Neil and Tyson Kidd. May 23, 2014 – Superstars: The Big Show defeated Titus O’Neil. May 29, 2014 – Superstars: Big E defeated Titus O’Neil. May 30, 2014 – SmackDown: Big E defeated Titus O’Neil. June 5, 2014 – Superstars: Big E defeated Titus O’Neil. June 7, 2014 – Live Event: Sin Cara defeated Titus O’Neil. June 13, 2014 – Superstars: Dolph Ziggler defeated Titus O’Neil. June 14, 2014 – Live Event: Titus O’Neil defeated Damien Sandow. June 20, 2014 – SmackDown: Adam Rose defeated Titus O’Neil. ~~~After the match O’Neil challenged Rose to a rematch. ~~~Adam Rose defeated Titus O’Neil. June 23, 2014 – RAW: Bo Dallas defeated Titus O’Neil. June 28, 2014 – Live Event: R-Truth defeated Titus O’Neil. July 3, 2014 – Live Event: Big E defeated Titus O’Neil. July 5-6, 2014 – Live Event: Diego, El Torito and Sin Cara defeated Heath Slater, Titus O’Neil and Hornswoggle. July 10, 2014 – Superstars: Adam Rose defeated Titus O’Neil. ~~~Luke Harper and Erick Rowan attacked the Usos before the match. July 22, 2014 – Main Event: Big E and Kofi Kingston w/Xavier Woods defeated Heath Slater and Titus O’Neil. July 26-27, 2014 – Live Event: Diego, El Torito and Tyson Kidd defeated Hornswoggle, Titus O’Neil and Heath Slater. July 29, 2014 – Main Event: Heath Slater and Titus O’Neil defeated Tyson Kidd and Zack Ryder. July 31, 2014 – Superstars: Heath Slater and Titus O’Neil defeated Zack Ryder and Sin Cara. August 2, 2014 – Live Event: Big E and Diego defeated Heath Slater and Titus O’Neil. August 5, 2014 – Main Event: Heath Slater and Titus O’Neil defeated Goldust and Stardust. August 7, 2014 – Superstars: WWE United States champion Sheamus defeated Titus O’Neil in a non-title match. August 9-10, 2014 – Live Event: Sin Cara, El Torito and Tyson Kidd defeated Hornswoggle, Heath Slater and Titus O’Neil. August 15, 2014 – SmackDown: Dolph Ziggler defeated Titus O’Neil. August 19, 2014 – Main Event: Heath Slater and Titus O’Neil defeated Los Matadores. August 21, 2014 – Superstars: Hornswoggle and El Torito defeated Heath Slater and Titus O’Neil. August 23-24, 2014 – Live Event: Goldust and Stardust defeated Heath Slater and Titus O’Neil. August 30, 2014 – Smackdown! : Big E and Kofi Kingston defeated Titus O’Neil and Heath Slater in a dark match. September 1, 2014 – RAW: Adam Rose defeated Titus O’Neil. September 5-7, 2014 – Live Event: Sin Cara defeated Titus O’Neil. September 8, 2014 – RAW: Adam Rose defeated Titus O’Neil. September 9, 2014 – Main Event: Adam Rose defeated Titus O’Neil. September 18, 2013 – NXT: Titus O’Neil and Tyson Kidd defeated Adrian Neville and Sami Zayn. September 22, 2014 – RAW: Adam Rose and Bunny defeated Heath Slater and Titus O’Neil. September 23, 2014 – Main Event: Los Matadores defeated Titus O’Neil and Heath Slater. October 9, 2014 – NXT: Titus O’Neil defeated Sami Zayn. October 30, 2014 – NXT: Sami Zayn defeated Titus O’Neil. November 3, 2014 – RAW: Ryback defeated Titus O’Neil. November 5-9, 2014 – Live Event: Los Matadores and El Torito defeated Hornswoggle, Titus O’Neil and Heath Slater. November 11-15, 2014 – Live Event: Los Matadores and El Torito defeated Hornswoggle, Titus O’Neil and Heath Slater. November 23, 2014 – Survivor Series: Adam Rose and the Bunny defeated Titus O’Neil and Heath Slater. November 27, 2014 – Superstars: The Usos defeated Titus O’Neil and Heath Slater. December 25, 2014 – Superstars: Titus O’Neil defeated Justin Gabriel. December 26-27, 2014 – Live Event: Los Matadores and El Torito defeated Titus O’Neil. Tyler Breeze and Hornswoggle. December 30, 2014 – Main Event: Titus O’Neil defeated Justin Gabriel. February 14-15, 2015 – Live Event: Darren Young defeated Titus O’Neil. February 16, 2015 – RAW: Darren Young and a local star fought the Ascension to a no contest. ~~~Titus O’Neil saved Young from the Ascension’s attack, reforming the Prime Time Players. February 17, 2015 – Main Event: Titus O’Neil defeated Adam Rose by disqualification. February 23, 2015 – RAW: Titus O’Neil and Darren Young defeated the Ascension. March 6, 2015 – Superstars: The Ascension defeated The Prime Time Players. March 6, 2015 – Live Event: Adam Rose and Curtis Axel defeated The Prime Time Players & Damien Mizdow and The Miz in a 3-way tag team match. March 7-8, 2015 – Live Event: The Prime Time Players defeated Adam Rose and Heath Slater, The Ascension and Los Matadores in a 4-way elimination tag team match. March 10, 2015 – Main Event: The Prime Time Players defeated The Ascension. March 14-15, 2015 – Live Event: The Prime Time Players defeated Adam Rose and Heath Slater. March 20-22, 2015 – Live Event: WWE tag team champions Cesaro and Tyson Kidd defeated The Prime Time Players, The Ascension & Xavier Woods and Big E in a 4-way tag team elimination match to retain the titles. March 23, 2015 – RAW: Ryback, Zack Ryder, Titus O’Neil, Darren Young, and Erick Rowen defeated the Miz, Damien Sandow, Adam Rose, and the Ascension in a 10-man tag team match. March 31, 2015 – Main Event: The Prime Time Players defeated Xavier Woods and Big E in a dark match. April 3, 2015 – Superstars: The Prime Time Players defeated Adam Rose and Heath Slater in a dark match. April 14-16, 2015 – Live Event: The Prime Time Players defeated Curtis Axel and Heath Slater. April 17-18, 2015 – Live Event: The Prime Time Players and The Lucha Dragons defeated Curtis Axel, Heath Slater and The Ascension. May 1, 2015 – Superstars: The Prime Time Players defeated Los Matadores. May 1-3, 2015 – Live Event: The Prime Time Players and Jimmy Uso defeated The Ascension and Heath Slater. May 5, 2015 – Main Event: The Prime Time Players defeated Brad Maddox and Heath Slater in a dark match. May 15, 2015 – Live Event: The Prime Time Players and Zack Ryder defeated The Ascension and Bo Dallas. May 16, 2015 – Live Event: The Prime Time Players defeated The Ascension. May 19, 2015 – Main Event: Tag team champions Big E and Xavier Woods w Kofi Kingston defeated The Prime Time Players in a non-title match. May 22-24, 2015 – Live Event: The Prime Time Players defeated Heath Slater and Bo Dallas. May 26, 2015 – Main Event: The Prime Time Players defeated The Ascension. May 29, 2015 – Superstars: The Prime Time Players defeated The Ascension. June 8, 2015 – RAW: Big E defeated Titus O’Neil. June 14, 2015 – Money in the Bank: The Prime Time Players defeated the WWE tag team champions the New Day to win the titles. June 20, 2015 – Main Event: WWE tag team champions the Prime Time Players defeated the Ascension in a non-title match. June 22, 2015 – RAW: WWE tag team champions the Prime Time Players defeated the Ascension in a non-title match. July 2, 2015 – SmackDown: WWE tag team champions the Prime Time Players defeated the Ascension in a non-title match. July 9, 2015 – Superstars: WWE tag team champions The Prime Time Players defeated The Ascension in a non-title match. July 9, 2015 – SmackDown: Titus O’Neil defeated Big E.
July 18, 2015 – Main Event: WWE tag team champions The Prime Time Players defeated The Ascension in a non-title match. July 19, 2015 – Battleground: WWE tag team champions the Prime Time Players defeated the New Day to retain the titles. July 25, 2015 – Main Event: The Prime Time Players defeated The Ascension in a dark match. August 22, 2015 – Main Event: The Prime Time Player defeated The Ascension. August 29, 2015 – Main Event: The Prime Time Players defeated Los Matadores. September 18-19, 2015 – Live Event: WWE tag team champions Kofi Kingston and Big E defeated The Prime Time Players and The Dudley Boyz in a 3-way to retain the titles. September 26-27, 2015 – Live Event: WWE tag team champions Kofi Kingston and Big E defeated The Prime Time Players and The Dudley Boyz in a 3-way to retain the titles. September 28, 2015 – RAW: Braun Strowman and Luke Harper defeated the Prime Time Players. October 9, 2015 – Superstars: The Prime Time Players defeated The Ascension. October 10-11, 2015 – Live Event: WWE tag team champions Kofi Kingston and Big E defeated The Prime Time Players and The Dudley Boyz in a 3-way to retain the titles. October 15, 2015 – SmackDown: Luke Harper and Braun Strowman defeated the Prime Time Players. October 24, 2015 – Main Event: Braun Strowman and Erick Rowan defeated The Prime Time Players. November 9, 2015 – RAW: WWE Intercontinental champion Kevin Owens defeated Titus O’Neil to advance in the WWE world heavyweight championship tournament. November 20, 2015 – Superstars: Titus O’Neil defeated Bo Dallas. November 21, 2015 – Main Event: Titus O’Neil defeated Heath Slater. November 23, 2015 – RAW: The Prime Time Players and Goldust defeated the Ascension and Stardust in a 6-man tag team match. November 28, 2015 – Main Event: Titus O’Neil defeated Stardust by count-out. 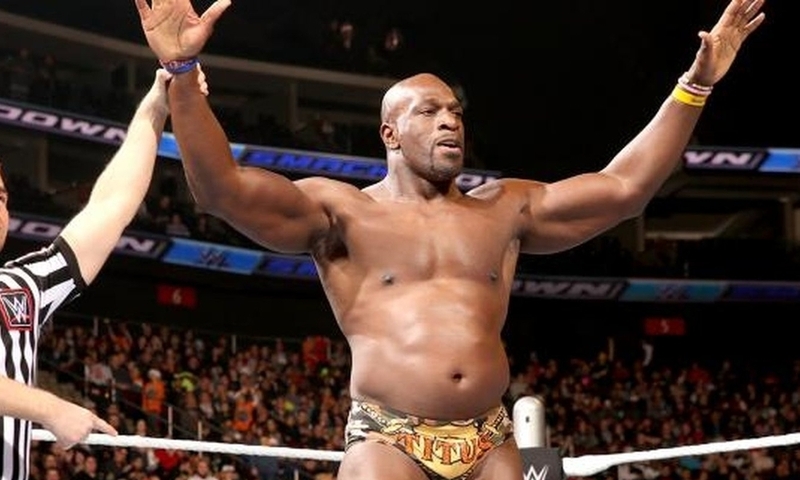 December 5, 2015 – Main Event: Titus O’Neil defeated Stardust. December 10, 2015 – SmackDown: Titus O’Neil defeated Heath Slater in a dark match. December 17, 2015 – SmackDown: Titus O’Neil defeated Tyler Breeze. 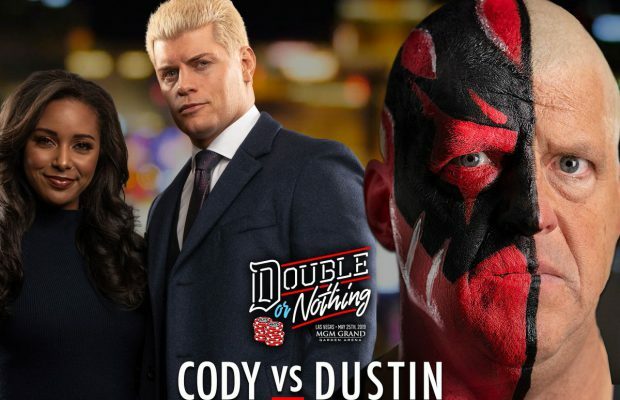 December 26-28, 2015 – Live Event: Titus O’Neil defeated Stardust. December 30, 2015 – Live Event: Titus O’Neil, Mojo Rawley and Zack Ryder defeated The Cosmic Wasteland (Konnor, Stardust and Viktor). January 2, 2016 – Main Event: Titus O’Neil defeated Adam Rose. January 4, 2016 – RAW: Titus O’Neil defeated Stardust. January 8-10, 2016 – Live Event: Titus O’Neil defeated Stardust. January 9, 2016 – Main Event: Titus O’Neil defeated Stardust. January 11, 2016 – RAW: Titus O’Neil defeated Stardust. January 21, 2016 – SmackDown: Titus O’Neil defeated Stardust. January 29, 2016 – Superstars: Titus O’Neil defeated Tyler Breeze. January 30-31, 2016 – Live Event: Titus O’Neil defeated Stardust. February 1, 2016 – RAW: Titus O’Neil defeated Tyler Breeze. February 5, 2016 – Main Event: The Prime Time Players and the Usos defeated The Cosmic Wasteland (Konnor, Stardust & Viktor) and Tyler Breeze. February 5-6, 2016 – Live Event: The Dudley Boys and Titus O’Neil defeated Fandango, Heath Slater and Adam Rose. February 8, 2016 – RAW: Adam Rose defeated Titus O’Neil. On the February 8 2016 episode of Raw, O’Neil had what was described as a “playful, physical” altercation with Vince McMahon as the show was going off the air while the two were on stage during Daniel Bryan’s retirement celebration. The following day, O’Neil was suspended for unprofessional conduct relating to the incident, with the suspension reportedly lasting up to 90 days. It was later confirmed that he would be suspended for 60 days. April 29, 2016 – Main Event: Titus O’Neil defeated Tyler Breeze in a dark match. May 2, 2016 – RAW: Titus O’Neil returned to WWE TV by participating in the #1 contenders battle royal for the United States title won by Rusev. May 7, 2016 – Main Event: Titus O’Neil defeated Damien Sandow. May 6-8, 2016 – Live Event: Titus O’Neil defeated Fandango. May 20, 201 – Superstars: Jack Swagger and Titus O’Neil defeated The Social Outcasts (Bo Dallas and Curtis Axel). May 21, 2016 – Main Event: Jack Swagger and Titus O’Neil defeated The Social Outcasts (Bo Dallas and Curtis Axel). May 27-29, 2016 – Live Event: Titus O’Neil defeated Viktor. June 11, 2016 – Main Event: Titus O’Neil defeated Viktor. June 11-12, 17-18, 2016 – Live Event: WWE United States champion Rusev w Lana defeated Titus O’Neil to retain the title. June 19, 2016 – Money in the Bank: WWE United States champion Rusev w Lana defeated Titus O’Neil to retain the title. June 27, 2016 – RAW: Titus O’Neil defeated WWE United States champion Rusev w Lana by count-out in a non-title match. June 29, 2016 – Live Event: Titus O’Neil defeated Curtis Axel. July 1, 2016 – Live Event: Baron Corbin defeated Titus O’Neil. July 2, 2016 – Live Event: Titus O’Neil defeated Curtis Axel. July 4, 2016 – RAW: WWE United States champion Rusev w Lana defeated Titus O’Neil to retain the title. July 9, 2016 – Live Event: Sin Cara and Titus O’Neil defeated Bo Dallas and Heath Slater. July 11, 2016 – RAW: Titus O’Neil defeated Heath Slater. July 15, 2016 – Main Event: Sheamus defeated Titus O’Neil. July 16, 2016 – Live Event: Titus O’Neil defeated Heath Slater. July 17, 2016 – Live Event: Baron Corbin defeated Titus O’Neil. July 19, 2016 – WWE Draft Live Special: Titus O’Neil gets drafted by Stephanie McMahon & Mick Foley to join Monday Night Raw at #33. July 29-31, 2016 – Live Event: The Prime Time Players (Darren Young and Titus O’Neil) defeated The Social Outcasts (Bo Dallas and Heath Slater). August 1, 2016 – RAW: Titus O’Neil defeated Darren Young w Bob Backlund. August 6-7, 2016 – Live Event: WWE Intercontinental champion The Miz defeated Darren Young and Titus O’Neil in a 3-way match to retain the title. August 8, 2016 – RAW: Darren Young w Bob Backlund defeated Titus O’Neil. August 10-13, 2016 – Live Event: WWE United States champion Rusev defeated Titus O’Neil to retain the title. August 15, 2016 – RAW: The Shining Stars (Epico and Primo) defeated The Prime Time Players (Darren Young and Titus O’Neil) w Bob Backlund. August 26-28, 2016 – Live Event: WWE Intercontinental champion The Miz defeated Darren Young and Titus O’Neil in a 3-way match to retain the title. August 29, 2016 – RAW: Darren Young w Bob Backlund defeated Titus O’Neil. September 16, 2016 – Superstars: Darren Young w Bob Backlund and Neville defeated Curtis Axel and Titus O’Neil. September 16-18, 2016 – Live Event: Darren Young defeated Titus O’Neil. September 23, 2016 – Superstars: The Golden Truth (Goldust and R-Truth) defeat Jinder Mahal and Titus O’Neil. September 26, 2016 – Live Event: Darren Young, Goldust and R-Truth defeated Bo Dallas, Curtis Axel and Titus O’Neil. October 3, 2016 – RAW: Sami Zayn defeated Titus O’Neil. October 5, 7-8, 2016 – Live Event: Darren Young and Neville defeated Bo Dallas and Titus O’Neil. October 6, 2016 – Live Event: Darren Young and Sami Zayn defeated Bo Dallas and Titus O’Neil. October 10, 2016 – RAW: R-Truth w Goldust defeated Titus O’Neil. October 15, 2016 – Live Event: Darren Young and R-Truth defeated Jinder Mahal and Titus O’Neil. October 16, 2016 – Live Event: Darren Young & The Golden Truth (Goldust and R-Truth) defeated The Social Outcasts (Bo Dallas & Curtis Axel) and Titus O’Neil. October 21, 2016 – Live Event: Cesaro, Darren Young, Sami Zayn & The Golden Truth (Goldust and R-Truth) defeated Curtis Axel, Jinder Mahal, The Shining Stars (Epico & Primo) and Titus O’Neil. October 22-23, 2016 – Live Event: Big Cass, Darren Young, Enzo Amore & The Golden Truth (Goldust and R-Truth) defeated Curtis Axel, Jinder Mahal, The Shining Stars (Epico & Primo) and Titus O’Neil. October 31, 2016 – RAW: Braun Strowman defeated Bo Dallas and Cesaro and Curtis Axel and Darren Young and Goldust and Jinder Mahal and Neville and R-Truth and Sami Zayn and Sheamus and Titus O’Neil in a battle royal to qualify for the RAW Survivor Series team. November 3, 2016 – Live Event: Darren Young and Neville defeated Curtis Axel and Titus O’Neil. November 2, 4-6, 2016 – Live Event: Darren Young & The Golden Truth (Goldust and R-Truth) defeated The Shining Stars (Epico & Primo) and Titus O’Neil. November 18, 2016 – Superstars: Titus O’Neil defeated Curtis Axel. December 2, 2016 – Live Event: Neville, Sami Zayn, Sin Cara & The Golden Truth (Goldust and R-Truth) defeated Bo Dallas, Curtis Axel, The Shining Stars (Epico & Primo) and Titus O’Neil. December 3-4, 2016 – Live Event: Sami Zayn, Sin Cara & The Golden Truth (Goldust and R-Truth) defeated Curtis Axel, The Shining Stars (Epico & Primo) and Titus O’Neil. December 5, 2016 – RAW: Mark Henry defeated Titus O’Neil. December 16, 2016 – Live Event: Darren Young, Sin Cara & The Golden Truth (Goldust and R-Truth) defeated Curtis Axel, The Shining Stars (Epico & Primo) and Titus O’Neil. December 17, 2016 – Live Event: Sin Cara & The Golden Truth (Goldust and R-Truth) defeated Curtis Axel & The Shining Stars (Epico and Primo). December 19, 2016 – RAW: Sin Cara vs. Titus O’Neil ended in a no contest. December 29, 2016 – Main Event: Titus O’Neil defeated Curtis Axel. January 13-15, 2017 – Live Event: Darren Young, Sin Cara, The Big Show & The Golden Truth (Goldust and R-Truth) defeated Bo Dallas, Jinder Mahal, The Shining Stars (Epico & Primo) and Titus O’Neil. January 20-22, 2017 – Live Event: Sin Cara, The Big Show & The Golden Truth (Goldust and R-Truth) defeated Jinder Mahal, The Shining Stars (Epico & Primo) and Titus O’Neil. February 18, 22, 2017 – Live Event: Curtis Axel, Sin Cara & The Golden Truth (Goldust and R-Truth) defeated Bo Dallas, The Shining Stars (Epico & Primo) and Titus O’Neil. February 24-25, 2017 – Live Event: Curtis Axel, Sin Cara & The Golden Truth (Goldust and R-Truth) defeated Bo Dallas, The Shining Stars (Epico & Primo) and Titus O’Neil. February 27, 2017 – RAW: Sheamus defeated Titus O’Neil. March 17-19, 2017 – Live Event: Curtis Axel, Sin Cara & The Golden Truth (Goldust and R-Truth) defeated Bo Dallas, The Shining Stars (Epico & Primo) and Titus O’Neil. March 24-25, 2017 – Live Event: Curtis Axel & The Golden Truth (Goldust and R-Truth) defeated The Shining Stars (Epico & Primo) and Titus O’Neil. April 7, 2017 – Main Event: Titus O’Neil defeated Curtis Axel. April 14, 2017 – Main Event: Big Cass defeated Titus O’Neil. April 21, 2017 – Main Event: Titus O’Neil defeated Curtis Axel. April 28, 2017 – Main Event: Rhyno w Heath Slater defeated Titus O’Neil. May 1, 2017 – RAW: Apollo Crews w Titus O’Neil defeated Heath Slater w Rhyno. June 28, 30, 2017 – Live Event: Titus O’Neil defeated Bo Dallas. July 1, 2017 – Live Event: Heath Slater and Rhyno defeated Bo Dallas and Titus O’Neil. July 8, 2017 – Live Event: Apollo Crews, R-Truth and Titus O’Neil defeated Bo Dallas, Curt Hawkins and Goldust. July 28, 2017 – Live Event: Apollo Crews, Jason Jordan, R-Truth and Titus O’Neil defeated Curt Hawkins, Goldust, Karl Anderson and Luke Gallows. August 11-13, 2017 – Live Event: Cesaro and Sheamus defeated Apollo Crews and Titus O’Neil to retain the tag titles. September 1-3, 14-15, 2017 – Live Event: Titus O’Neil participated in the #1 contenders battle royal for the Intercontinental title won by Jason Jordan. September 29-30, 2017 – Live Event: Apollo Crews and Titus O’Neil defeated Dash Wilder and Elias. October 2, 2017 – RAW: Elias defeated Titus O’Neil w Apollo Crews. October 9, 2017 – RAW: Elias defeated Apollo Crews w Titus O’Neil. October 30, 2017 – RAW: Samoa Joe defeated Apollo Crews w Titus O’Neil. November 24, 2017 – Main Event: Apollo Crews w Titus O’Neil defeated Curt Hawkins. November 27, 2017 – RAW: Samoa Joe defeated Titus O’Neil w Apollo Crews. Samoa Joe attacked Crews after the match. December 1, 2017 – Main Event: Apollo Crews w Titus O’Neil defeated Curt Hawkins. January 12-14, 2018 – Live Event: Cesaro and Sheamus defeated Titus Worldwide (Apollo Crews and Titus O’Neil). 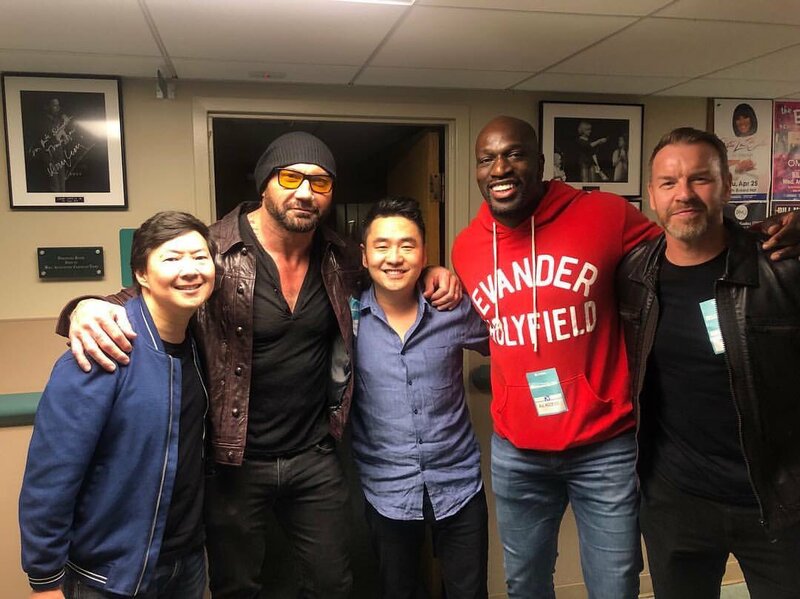 January 28, 2018 – Royal Rumble: Titus O’Neil was in the Royal Rumble match won by Shinsuke Nakamura. March 12, 2018 – RAW: Braun Strowman defeated Balor Club (Karl Anderson & Luke Gallows) and Heath Slater & Rhyno and The Miztourage (Bo Dallas & Curtis Axel) and The Revival (Dash Wilder & Scott Dawson) and Titus Worldwide (Apollo & Titus O’Neil) in a #1 contenders battle royal for the RAW tag team titles. March 17, 19, 2018 – Live Event: Titus Worldwide (Apollo and Titus O’Neil) defeated The Revival (Dash Wilder and Scott Dawson). April 8, 2018 – WrestleMania 34 Kickoff: Titus O’Neil was in the Andre The Giant Memorial Battle Royal won by Matt Hardy. April 16, 2018 – RAW: Titus Worldwide was attacked by Dolph Ziggler & Drew McIntyre. April 18, 21, 2018 – Live Event: Titus Worldwide (Apollo Crews and Titus O’Neil) defeated The Miztourage (Bo Dallas and Curtis Axel). April 27, 2018 – Greatest Royal Rumble: Titus O’Neil entered the Royal Rumble match at #39 but was won by Braun Strowman. May 9, 2018 – Live Event: Dolph Ziggler and Drew McIntyre defeated Titus Worldwide (Apollo Crews and Titus O’Neil). May 27, 2018 – Live Event: Dolph Ziggler and Drew McIntyre defeated Titus Worldwide (Apollo Crews and Titus O’Neil). June 8-10, 2018 – Live Event: Dolph Ziggler and Drew McIntyre defeated Titus Worldwide (Apollo Crews and Titus O’Neil). July 6-8, 2018 – Live Event: The Deleters Of Worlds (Bray Wyatt and Matt Hardy) defeated The B-Team (Bo Dallas and Curtis Axel) & Titus Worldwide (Apollo Crews and Titus O’Neil) in a 3-way tag team match to retain the RAW tag team titles. July 27, 2018 – Live Event: Titus Worldwide (Apollo Crews and Titus O’Neil) defeated The Ascension (Konnor and Viktor). August 29, 31, 2018 – Live Event: The B-Team (Bo Dallas and Curtis Axel) defeated The Revival (Dash Wilder and Scott Dawson) & Titus Worldwide (Apollo Crews and Titus O’Neil) in a 3-way tag team match to retain the tag team titles. November 2, 2018 – Main Event: Titus O’Neil defeated Mojo Rawley. November 7-9, 2018 – Live Event: Titus O’Neil defeated Curt Hawkins. November 30, 2018 – Live Event: Titus O’Neil defeated Mojo Rawley. December 26-27, 2018 – Live Event: Titus O’Neil was in the #1 contender battle royal for the Intercontinental title won by Apollo Crews. December 30, 2018 – Live Event: Titus O’Neil defeated Killian Dain. December 31, 2018 – RAW: Titus O’Neil was in the #1 contender battle royal for the Intercontinental title won by Apollo Crews. January 27, 2019 – Royal Rumble: Titus O’Neil entered the Royal Rumble match at #11 but was won by Seth Rollins. @TitusONeilWWE As human beings this should be unacceptable to all. I’m disgusted by this. The best post-show hang ever at @RuthEckerdHall. Thanks @kenjeong you were great.